The first of many flats built under Sinamalé housing scheme which were available for rent-to-buy. 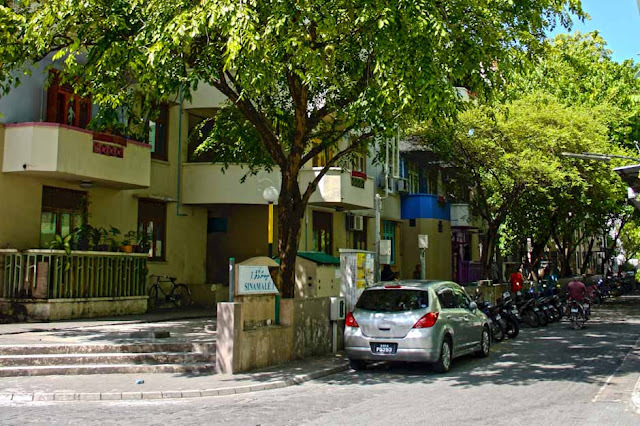 The Sinamalé housing complex, was intended to be affordable to low‐income residents. However, this has not supplied a significant injection of affordable housing in the market. Additionally, the practice of residents who obtain these flats at low rates from the government subsequently subleasing them at exceptionally higher rates, has resulted in the prices of the rental market further increasing. Many believe that the current problems exist mainly because of the lack of an established mechanism that would monitor the situation. - An excerpt from Rapid Assessment of the Housing Situation in the Maldives, produced by the Human rights Commission of the Maldives in consultation with Displacement Solutions.